New Stuff & New Tasting Room! 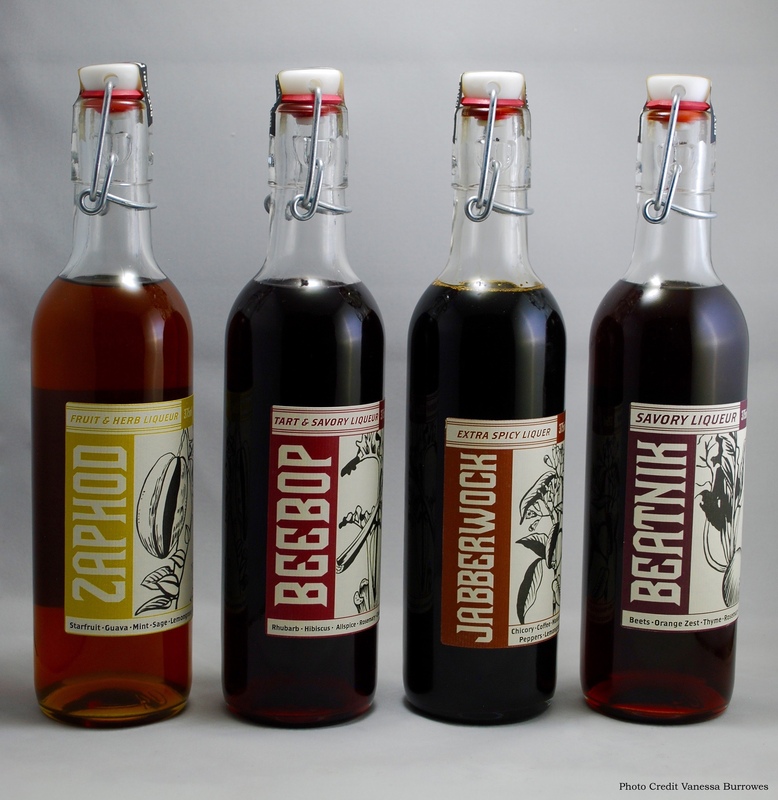 Some exciting news for all of you people who enjoy delicious stuff: We have new booze! Not just one new thing, but four new liqueurs. All are made at 30% and sweetened with raw cane sugar before being flavored with whole fruits, herbs, spices, and botanicals. So before we get into the “Rim tries to write a funny blog post” part, what are these things anyway? Starfruit, Guava, Mint, Sage, Lemongrass, & Peppercorns. Makes for a lighter-bodied summery sipper, and a great mixer with sodas or sparkling wine. Beets, Sage, Thyme, Rosemary, Fennel & Orange Zest. By itself, earthy and herbal flavors are balanced by a mild sweetness. Fantastic in gin drinks, or anything that needs a savory boost. Coffee, Chicory, Lemongrass, Eucalyptus, Manzano & Chipotle Peppers. This thing is an absolute beast. Bitterness from coffee and chicory yields to smoky and peppery spice with a bit of sweetness barely keeping the rest of the flavors in check. Where to buy them: So far we’ve gotten these on local ABC shelves (Wake, Durham & Orange Counties). We will be stocking up more ABCs in the coming weeks and months, and we’re talking to our distributors out of state as well. How much money and stuff: All four sell for $17.95 a bottle and come in a 375 ml swingtop like you can see in the picture. My local ABC doesn’t have them yet: Ask for them! This helps us immensely. You can also let us know where you’re trying to get them at, and we see what we can do to get them stocked for you. I live in New Michabralaskaforina, where do I buy them: We will hopefully get these into an online retailer soon enough. Why are you making more stuff: We want to make a great big pile of money and we think this is a good way to do that. Wait but really, why: We do most of our business with Krupnikas in the wintertime. November and December have been crazy busy, but the spring and summer are somewhat slow. Trying to sell a Spiced Honey Liqueur when it is 95 degrees outside in North Carolina can be a bit tough. Thanks to the hard work of many other distillers and fans, NC ABC Rules are changing. Starting in October, we will be allowed to sell bottles out of our distillery to those who come for a tour. It will be limited to 1 bottle per person per year, but this is a big step forward nonetheless. At Bros V. HQ, we’ll be adding a proper tasting room slash hang-out space and offering tours more often. Expect more details to come as we get closer to October, but for now just know that this is coming. Constantly reloading this webpage, all the time, every day. Following our things on Facebook or Twitter. Hiding out in a van across the street (please consider the former options first).